Nowadays you can see trucks of all kinds from small semi-trucks speeding on highways and transporting someone’s property to huge freighters carrying the tons of goods to their destination point. You can also see modern and luxurious trailers with touch screen GPS, satellite TV and radio, DVD-players, comfortable beds with plasma TVs on the walls and other super modern and high-tech devices. People use not only the word “truck” to refer it to a vehicle that transports cargo, you can also hear such words as – lorry, freighter, rig, wagon, van and some others. They can differ in size and power, have different configuration and can be powered by diesel or gasoline engines. But they are all made to make our life more comfortable in terms of transportation. But have you ever thought when the first truck appeared? Who made it? How did it look like? 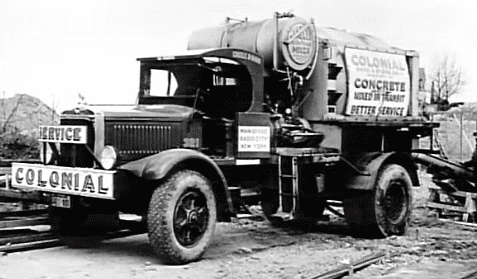 Today we are going to look back at the history of making trucks. How people transported goods at times when there weren’t automobiles – they used horses, bulls other pack animals and of course they used railroad. Railroad was the main mean of transportation and it was developing much faster that trucking industry. The only disadvantage of a railroad is its limit in reach. So when did the first truck come out? Trucks as well as cars have their origin in steam-powered fardier that was built in 1769. But they weren’t spread until the mid 1800s. The first semi-trailer was made by De Dion Bouton, a French automobile manufacturer, in 1881. Later they were sold in the US, France and the UK, where they were called steamed wagons. Unfortunately, you could not use them for long distances. Karl Benz, a German engine designer and automobile engineer, was the first to manufacture the truck with the internal combustion engine. A few years later, different German and French companies started producing their own versions. Autocar company, founded in Pittsburg, Pennsylvania, built the first truck in the US in 1899. And you could choose 5 or 8 horsepower motors at that time. Diesel engines weren’t used in manufacturing trucks until 1930s in Europe and 1970s in the US. These days, commercial companies who earn money with the help of trucks are hit by the prices on fuel which are constantly rising, that’s why many engineers are trying to find a solution of this problem and maybe, one day, will create a truck that will use an alternative source of energy and it will bring significant changes to trucking industry and to the whole world as well.